Soprano Alexandra Whitfield is an active performer around the New England area in oratorio, opera, concert and new music. Her most recent engagements include Bach’s Christmas Oratorio with the New Bedford Choral Society, BWV21 with Cantata Singers, Pamina in The Magic Flute with The Nahant Music Festival, the Fauré Requiem with The Litchfield County Choral Union and as a guest artist on the WGBH 2017 Christmas Special. Alexandra has performed as a soloist in concert with The Boston Ballet, The Lexington Symphony, The Newton Community Chorus, Cantata Singers' Chamber Ensemble and The Berwick Community Chorus. Her opera roles include Pamina (The Magic Flute), Josephine (HMS Pinafore), Zerlina (La Serva Padrona) and Belinda (Dido and Aeneas), working with Opera New Hampshire, Piccola Opera and Longwood Opera. Dedicated to chamber music and promoting new and emerging pieces, Alexandra has collaborated with local composers, performing commissioned works and crafting recitals. Most recently, she produced a world premiere program of new compositions and spoken word in honor of Dr. Martin Luther King’s 50th anniversary. For the upcoming 2018-2019 season, she is programming music for a 100th anniversary gala for the end of World War I, along with many chamber concerts with local musicians. Alexandra received her Masters of Music in Vocal Performance from the Longy School of Music, and was the only vocalist to be awarded the Roman Totenberg Award for stellar academic and artistic achievement and deep commitment to the art of music. She placed in second for NEMPAC’s vocal competition, was a prize-winner in the Massachusetts NATS competition and a semi-finalist in the American Prize Competition and Rochester Classical Idol. 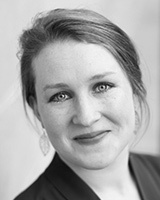 Alexandra currently sings as a member of Cantata Singers and The Brookline Consort, and studies with Frank Kelley.